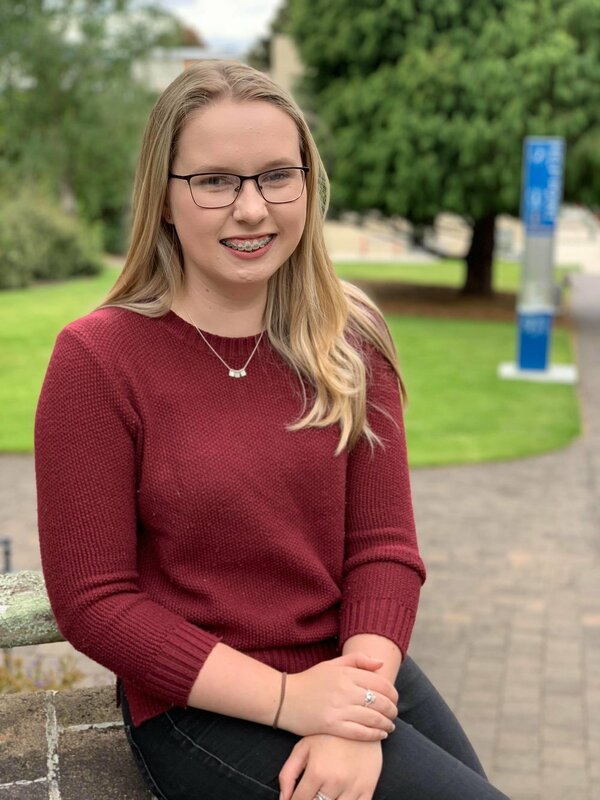 Scholarship recipient Amy Madsen is studying a Bachelor of Applied Science (Agriculture and Business) and grew up on a mixed livestock and cropping property on the east coast of Tasmania. “I decided to study agriculture because I have always loved helping my Dad on the farm and I have a real passion for feeding the growing population and working with animals,” Amy said. “I am really interested about producing livestock feed in a sustainable way, and I think this will be really important when we start to think about climate change and the increasing severity of droughts and floods. Scholarship student Georgia Griggs lives in regional Tasmania on an apple, cherry and blueberry farm. “I chose to study agriculture as I’ve always been interested in the way the human population feeds itself,” Georgia said. “My aspirations for the future are to work in sustainable agriculture and I am interested in learning about how our traditional production has to change in order to do that. “We are so proud to be able to support Amy and Georgina throughout their tertiary studies.